A Sweet Taste Of Life. 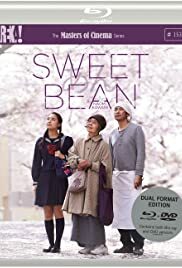 Internationally acclaimed Japanese auteur Naomi Kawase's 8th feature, SWEET BEAN sets its three-generation confluence in a small dorayaki shop, the owner Sentaro (Masatoshi Nagase), a middle-aged loner paying his dues to his troubled past, a septuagenarian Tokue (Kirin Kiki), who wins the co-worker vacancy with her bean paste, made from her homegrown recipe brims with deference and care to the beans, and a secondary-school pupil Wakana (Kyara Uchida), who frequents the shop and may relinquish the possibility of a higher education due to pecuniary deficiency at home. Naomi's feminine adroitness permeates from the start go, a lackadaisical Sentaro begins his quotidian grunt work in his perennially glum mood, against a beauteous streetscape dotted with cherry blossoms as if we too, can vicariously smell their flagrance. The advent of Tokue, like a gentle breeze, both leavens the taste of Sentaro's dorayaki and his woebegone life, the narrative takes a leisurely and pretty predictable course in the trio's interactions, heedful to details and not spoon-feeds us with their jeremiad. Soon, it is Tokue's wretched past emerges to the forefront, suggested by her gnarled fingers and deformed hands, she is indeed a victim of leprosy, had been secluded from the society in a sanatorium along with her likes for decades. The sticking point of prejudice against Tokue's condition looms large, and begins to disintegrate their business success, in an almost wordless segment, Tokue knowingly bows out, and by the time Sentaro and Wakana finally visit her in the verdant sanatorium, Tokue looks rather anemic and we realize, the elision of lachrymose and saccharine is right around the next corner. The film may as well bring down its curtain there, without gilding the lily with the subsequent voice-over heavy addendum from both Tokue and Sentaro, the former passing her final animistic wisdom to exhort him (and audience alike), whereas the latter, finally lets on his tale of woe in misty-eyes. What comes off squeaky clean is the two central performances, the venerable Kirin Kiki brilliantly conveys Tokue's senescence with sublime precision and then countervails it with a buoyant earnestness, balancing a fine line between dotty and astute, but never for a minute, sags into self- pity or mawkishness. 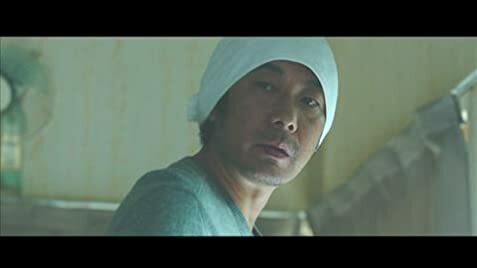 In the case of Masatoshi Nagase, who is slated for a very different task to grapple with, Sentaro is in a way, self-ostracized under his carapace of miserabilism, and Nagase commendably curves out a lucid contour of Sentaro's inscape with great restraint and subtlety. In the main, SWEET BEAN is a potently therapeutic melodrama, a tad errs on the side of sentimentality, but it is more like a fly in the ointment than a wrench in the works, moreover, Naomi Kawase's humane tack of storytelling and gossamer tangibility of the mise-en-scène, do speak volumes among the burgeoning conglomerate comprises of the ever-expanding working female filmmakers today.